The Bank St. Annex provides the perfect venue for an assortment of events; family and friends or a town meeting, we would be happy to accommodate your gathering. We would be pleased to create a local and organic menu package for your next event, please call or email for more information. The Bank St Annex will no longer be having our State Theatre buffets. Please visit our sister restaurant, Pearly Baker’s Alehouse located at 11 Centre Square, Easton, PA. 610-253-9949. 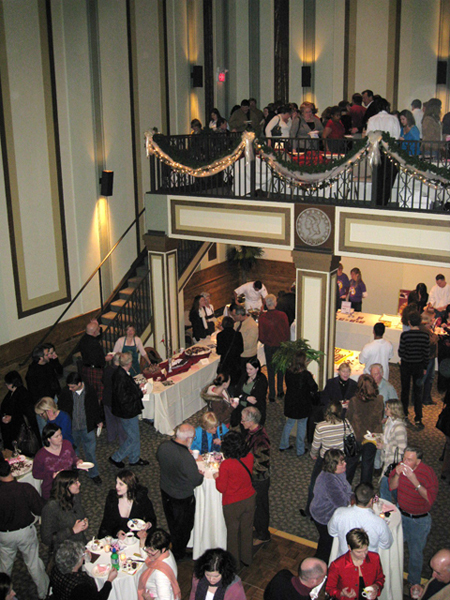 The Annex offers full service catering for your community event or corporate function. Our rooms are varied in shape and size, and can accommodate from 40 to 200. Please inquire within for details. Celebrations! Bar or bat mitzvahs, reunions, special dinners and showers, the Annex is a great venue for hosting special celebrations. Because every celebration is unique, we meet directly to plan a tailored event that reflects your tastes and budget. Please contact The Annex for further details.